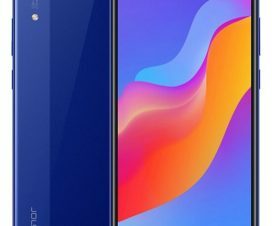 Honor V20 aka Honor View 20 officially launched in China with ‘Hole-Punch’ selfie camera design and a 48MP rear camera. The device will take on Samsung Galaxy A8s, which is one of the first device to feature a display hole for selfie camera. Last week Huawei also announced its latest flagship dubbed as Huawei Nova 4 which also comes with in-display camera. 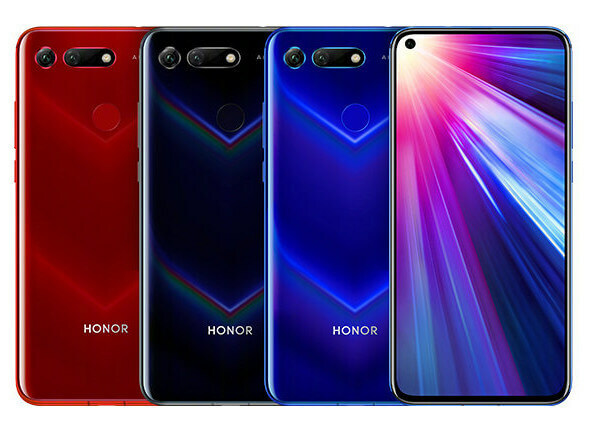 Huawei’s sub-brand Honor also announced that the Honor V20 will also launch outside China as Honor View 20, with the first launch confirmed to take place in Paris on January 22. Honor V20 gets an in-display circular hole of 4.5mm diameter that holds the 25MP front camera. 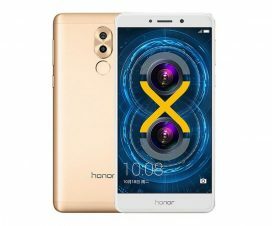 The phone also has a combination of 48MP Sony IMX586 primary camera in addition to a Time of Flight (ToF) camera, which is said to support 3D slimming feature. The camera for the Honor V20 also comes with AI features for extra clarity. 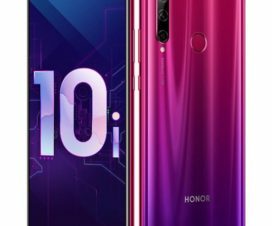 On the display front, the Honor V20 sports a 6.4-inch (1080 x 2310 pixels) FHD+ LCD IPS display with 96% NTSC Color Gamut. There is a circular rear-mounted physical fingerprint sensor instead of an in-display sensor. Under the hood, there is an Kirin 980 SoC with its nine liquid cool technology and GPU Turbo 2.0. Just like Honor Magic 2, the Honor V20 also runs on Android 9.0 Pie based Magic UI 2.0 out-of-the-box. It comes in 6GB RAM and 8GB RAM options while inbuilt storage is offered at 128GB and 256GB options. There is no microSD card slot for further memory expansion. The Honor V20 smartphone packs a 4,000mAh battery with support for fast charging as well (4.5V/5A). Connectivity options include Bluetooth v5.0, Wi-Fi 802.11 a/b/g/n/ac (dual band, 2.4GHz and 5GHz), GPS/ A-GPS, USB Type-C, and more. Sensors on board include accelerometer, ambient light sensor, digital compass, gyroscope, and a proximity sensor. 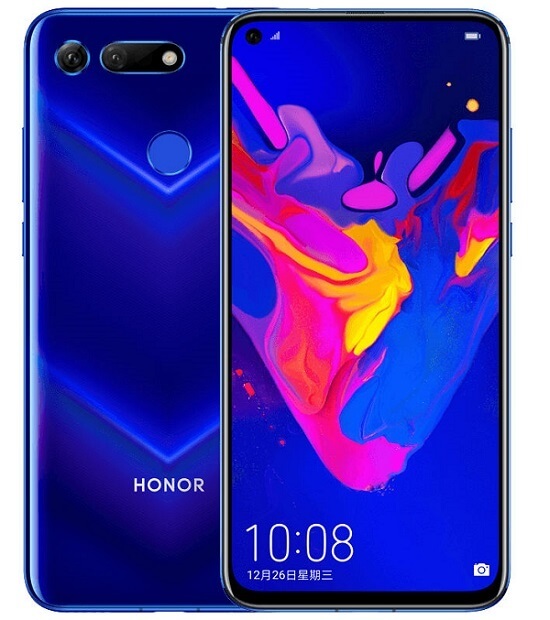 The Honor V20 comes Black, Blue and Red colors, is priced at 2999 yuan (US$ 434 / Rs. 30,428 approx.) 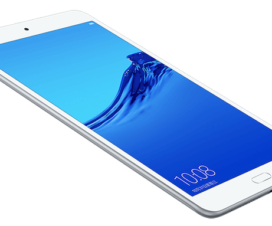 for the 6GB RAM with 128GB storage, 8GB RAM with 128GB storage version costs 3499 yuan (US$ 507 / Rs. 35,500 approx.) and the MOSCHINO Edition in collaboration with Italian fashion brand MOSCHINO with 8GB RAM and 256GB storage costs 3999 yuan (US$ 579 / Rs. 40,560 approx.). It is available for order from today and goes on sale in China from December 28th. It will be introduced globally on January 22nd as View20 at an event in Paris, France.